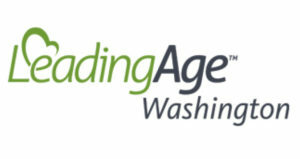 Leading Age Washington will host two INTERACTTM Certified Champion courses in December that will be presented by Pathway Health’s Betty Brunner. The INTERACTTM Certified Champion Program trains clinical leaders serving as champions and co-champions to implement and sustain the INTERACTTM 4.0 Quality Improvement Program (QIP) in their organizations. Describe the current landscape of health care reform and funding that make the INTERACTTM 4.0 an essential QI initiative for post-acute and long-term care organizations. Articulate the key strategies that form the foundation of the INTERACTTM 4.0 QIP. Understand how to optimally utilize INTERACTTM 4.0 QIP tools and resources. Define key strategies for successful INTERACTTM 4.0 QIP implementation, including how INTERACTTM 4.0 can help meet QAPI requirements. Define key strategies for successfully sustaining the INTERACTTM 4.0 QIP implementation processes. Measure and track organization specific INTERACTTM 4.0 QIP implementation processes. Measure and track organization specific INTERACTTM 4.0 QIP hospitalization and other related outcomes. Report and interpret feedback on INTERACTTM 4.0 QIP implementation and outcomes to the facility team and leadership. Demonstrate an ability to effectively educate facility staff on the INTERACTTM 4.0 QIP. Understand how to complete the INTERACTTM Certified Champion training certification process.